Sandy fields (often in quite bare patches), clearings, roadsides, gravel pits, and banks; railroad beds; prairie remnants; usually associated with some disturbance. 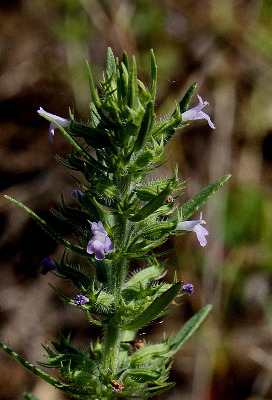 In linear leaves and a distended (gibbous) calyx, this species might be confused with Clinopodium arkansanum, which has 4 stamens, much larger flowers, and glabrous foliage. MICHIGAN FLORA ONLINE. A. A. Reznicek, E. G. Voss, & B. S. Walters. February 2011. University of Michigan. Web. 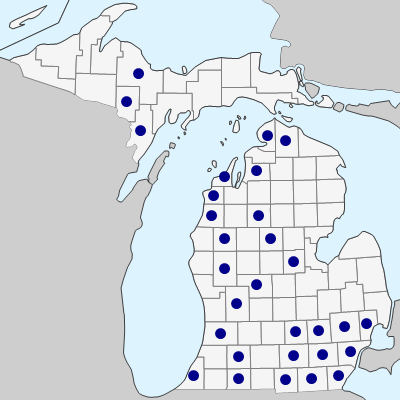 April 21, 2019. https://michiganflora.net/species.aspx?id=1548.